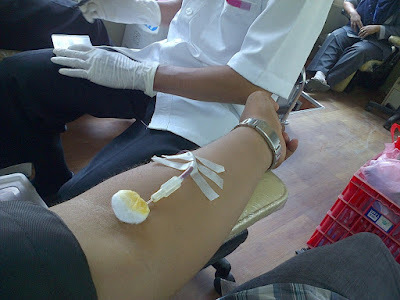 Donating blood is one of the simplest, yet noblest deeds that one can do for the community. For some, giving blood is a hard task, whether it’s because of the needle or the fear of pain. For anyone to overcome this intrinsic fear, it would be good to know that a majority of people actually donate their time and blood for a good cause, which is a great gesture that deserves applauding. However, a lot of people seem to be blinded by their eagerness to do a good deed, and hence do not understand the complexity of the process. Since this is a fairly common occurrence, go through the following before donating blood. The Red Cross keeps an alphabetical list of admissibility standards for possible donors—be it acupuncture (acceptable) to a person suffering from the Zika virus (absolutely unacceptable)— one needs to be absolutely eligible. It is advisable that willing donors get their blood checked and gather the latest information on blood diseases or deficiencies in order to know whether or not they are good to give blood. If a willing donor goes to a blood donation camp and finds out that the tests and donations are being conducted by amateurs, he or she must step out of that palace at once. All facilitators of blood tests need to undergo proper certification courses such as Phlebotomy Training USA, phlebotomy being the scientific process of surgically puncturing a vein and drawing out blood. Not doing this process cleanly and professionally could cause vein damage and other forms of infection or diseases. Blood screening is a crucial part of the donation process as it ensures that the blood being drawn out is in all forms, safe for the ultimate recipient. The first step to confirming the safety of the blood is checking the donor’s health – this process may seem inconsequential and an unnecessary hassle to some of the donors but it is crucial to make sure that the blood being drawn out will not have a negative effect on the recipient. Physicians who oversee blood donation camps usually check the donor’s blood pressure and pulse. Some of the physicians also use a pinprick to check RBCs (red blood cells) to guarantee that they are safe in all forms and do not end up causing the person receiving the blood iron-deficiency or some other condition like that. Donors who lead busy lifestyles make very little time for the donation process and sometimes they come in with their stomachs filled with nothing else but coffee. This makes them quite dehydrated and donating blood while being dehydrated is not ideal as the donor is already losing circulating fluid. Hence drinking a fair amount of water before donating blood is very important. Donating blood is a good deed which everyone must do. However, not being aware of the process, the requirements, etc. can be a huge mistake. These are the key aspects all wishful donors must be aware of. My friend has the same issue sometimes. I need to go donate before I'm too old to do it!